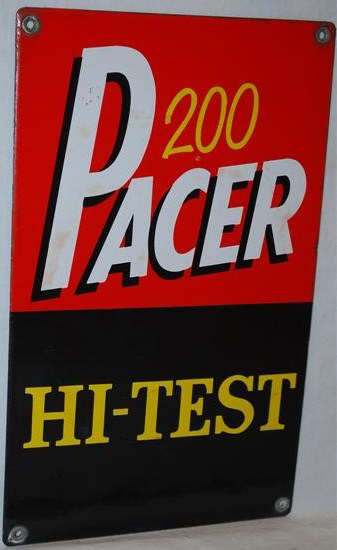 This is a rectangular Pacer 200 Hi-Test porcelain sign. This particular Pacer 200 Hi-Test sign is black and red with yellow and white text. It reads, “Pacer 200 Hi-Test”.